Currently based in Boston, Massachusetts Dr. Phil is a trumpeter and recitalist from the San Francisco Bay Area in California. He has taken performing and teaching engagements in California, New York, Maryland, Massachusetts, and North Carolina. 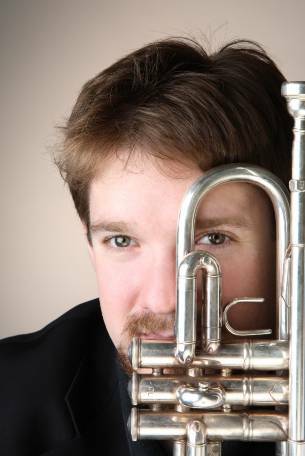 Equally at home as a soloist, orchestral, and chamber musician, Dr. Phil has performed in a wide variety of styles and venues including Carnegie Hall as principal trumpet, and The Isabella Stuart and the Children’s Museums in Boston as a chamber musician and soloist respectively. From 2007 to 2010 he was the Trumpet Studio Coordinator at the Peabody Institute of the Johns Hopkins University in Baltimore, Maryland. In 2010 he moved to Boston to freelance and was a guest lecturer at Northeastern University. Currently, Dr. Phil is principal trumpet at Park Avenue Congregational Church in Arlington, Massachusetts and plays in the cornet section for the North Carolina Brass Band and the New England Brass Band. Phil has teaching experience at summer music festivals, year round music centers, and as a private in-home instructor. He has taught in Baltimore, Maryland; Hancock, New York; Boston, Massachusetts; and most recently Greensboro, North Carolina. He is an active clinician working with young trumpeters in the elementary, middle, and high school levels in the San Francisco Bay Area. He has also taught at the collegiate level in Greensboro, North Carolina. Dr. Phil holds a Bachelor’s degree and a Graduate Performance Diploma from the Peabody Conservatory at Johns Hopkins University, as well as a Master’s Degree from the New England Conservatory. He earned a Doctorate of Musical Arts at the University of North Carolina, Greensboro. Dr. Phil has just returned from a West Coast recital tour with sold out performances in Medford, Oregon, Walnut Creek, California, and San Francisco, California.